This palette contains six shades to help you highlight the areas you want to bring out, or contour the areas you want to slim down. Ready to add some definition and dimension to your complexion? Bellapierre have included step-by-step instructions that make contouring and highlighting easier than ever. Ethylhexyl Palmitate, Ocvtyldodecanol, Silica, Ozokerite, Beeswax, Microcrystalline Wax, Phenoxyethanol, Squalane, Titanium Dioxide (CI 77891), Iron Oxides (CI 77491, CI 77492, CI77499). 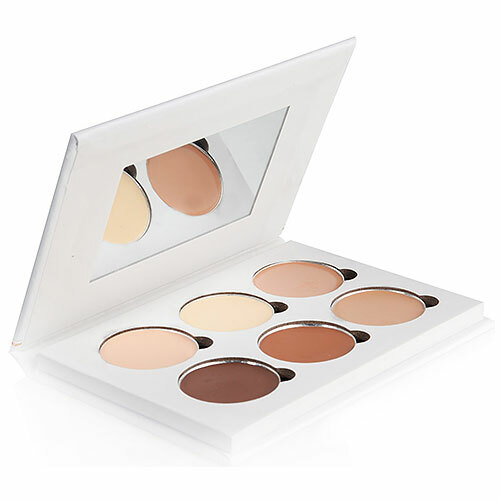 There is a step by step guide included in the Bellapierre Contour & Highlight Cream Palette. Below are reviews of Bellapierre Contour & Highlight Cream Palette by bodykind customers. If you have tried this product we'd love to hear what you think so please leave a review.